Located at Volkspark at 2 km from the centre of Enschede, Bed and breakfast Aan 'T Volkspark offers a spacious room and free parking on site. Free Wi-Fi access is available. The bed and breakfast room features a seating area including a TV and DVD player. The private bathroom is fitted with a bath/shower. An electric kettle as well as a coffee machine are available. 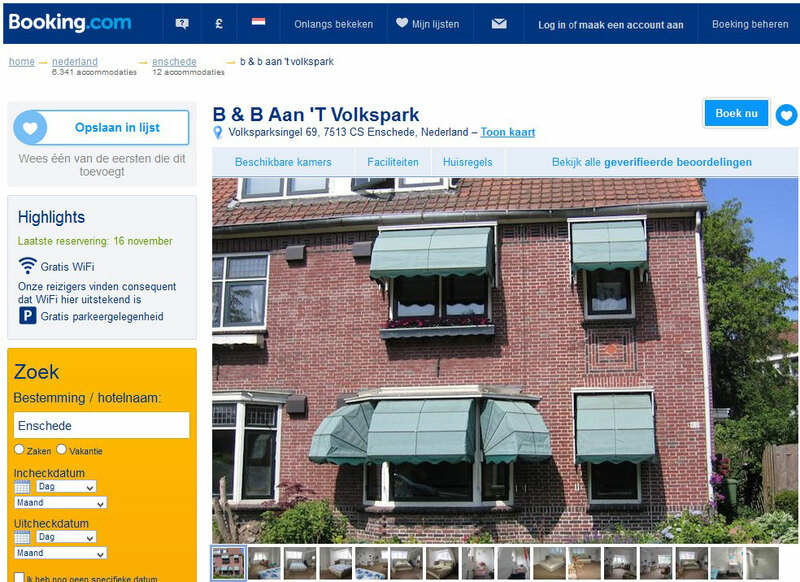 At B & B Aan 'T Volkspark in Enschede you will find a garden and guests have access to a shared kitchen. Guests can make use of free bicycles upon request. The bed and breakfast is 900 metres from Naturemuseum Enschede, 1 km from Rijksmuseum Enschede, 1.2 km from Enschede Station and 1.4 km from Holland Casino Enschede. There are many restaurants and bars in the centre of Enschede.